Federal export control laws restrict the export of goods, technology, related technical data, and certain services in the interest of protecting the national security and domestic economy. Join Livingston’s trade expert for an introduction to U.S. export controls and the most common export control jurisdictions including the Department of State, Department of Commerce (Bureau of Industry & Security, Bureau of the Census), and the Department of the Treasury (OFAC), all of which play a critical role in export control and non-proliferation activities both within the United States and outside its borders. Topics covered include who regulates U.S. exports; export classification and jurisdiction; export licensing, export reporting and record keeping, and other considerations. Individuals in supply chain operations and companies interested in a general overview of export controls and how those controls make affect your trade activities. As a Senior Consultant, Kyle Crouch is responsible for the oversight of both U.S. import and export projects. 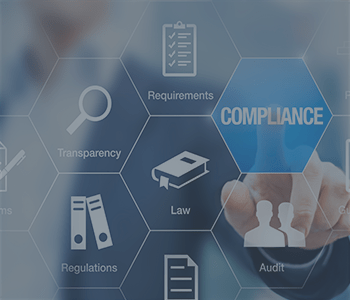 This involves reviewing his clients’ business models and practices to determine areas of risk, and offering solutions for compliance, penalty mitigation, cost minimization and risk management. Kyle has substantial expertise in U.S. Export Control registration, license application and management, and extraterritorial controls for foreign companies of products and services. He also has experience with compliance assessments, procedures drafting, licensing, technical control plans, and the transportation of classified defense articles. His particular expertise includes the development and implementation of import and export compliance programs, export licensing requirement determinations, global encryption controls, and the preparation, submission and oversight of penalty mitigation projects. Kyle is a licensed customs broker and holds a Bachelor’s and Master’s Degree in Economics. He has worked in trade compliance for over 23 years. As Senior Consultant, Kim is responsible for international trade compliance analysis and solution implementation for clients. Kim is proficient in the development and implementation of import/export compliance programs and the operational activities associated with these. She has over 20 years of experience in registration, license application, license management and extraterritorial controls for foreign companies of products and services covered under various categories within the CCL, and has particular expertise in electronics with association to hardware, software, raw materials, and technology transfers. Prior to joining Livingston, Kim managed import and export trade compliance for several MNCs in the San Diego area, both commercial and defense organizations, where she handled compliance and daily import and export operations for the Americas including functional administration of automated export management systems. Kim has a professional designation as a Global Logistics Specialist (GLS) from Alliant International University.